We left Tan-Swiss Lodge early on a Saturday morning as the check-out time required (see my previous post on Mikumi National Park if you are unclear on what I am talking about). We were headed back to Dar es Salaam. It was the middle of the weekend and frankly, I wasn’t ready for our 2-night getaway to be over. I had a plan. 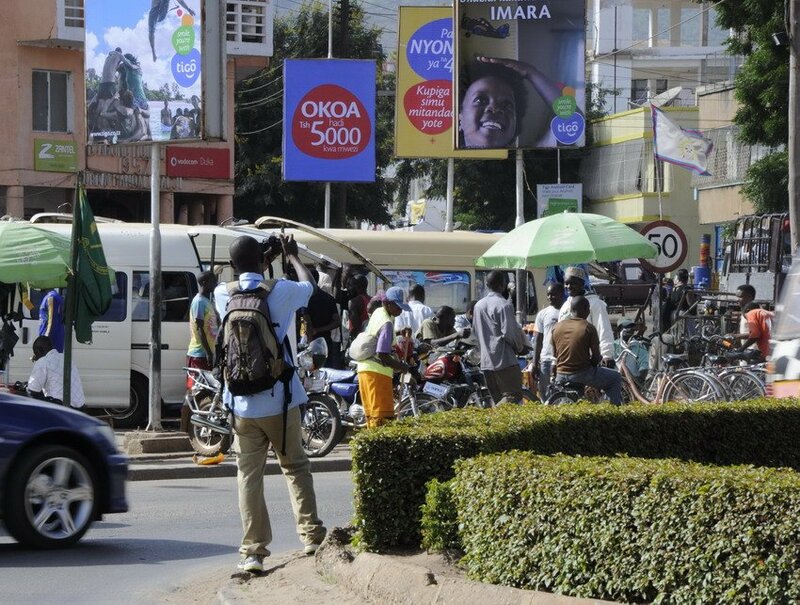 I would get my travel companions to make a detour through Morogoro (or “the city without an ocean” as it is fondly known in Tanzania) for lunch so that we could discover what the city had to offer. Although I had been to Morogoro a long time before, on a childhood trip to Tanzania, I remembered very little about it. 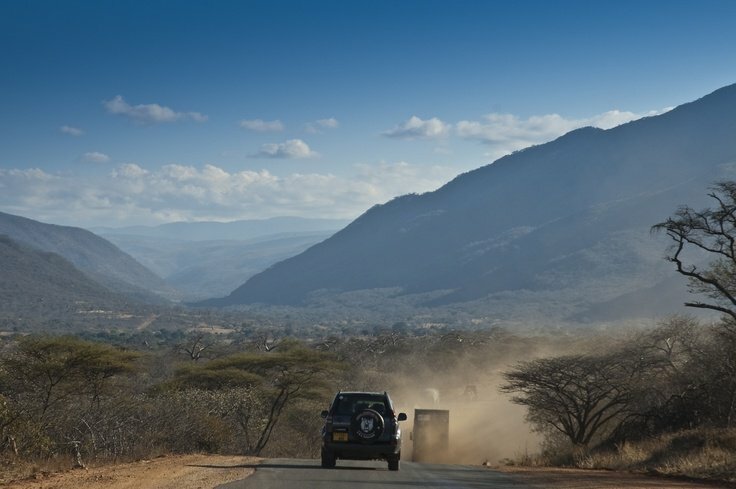 We drove on the Tanzania-Zambia (TanZam) highway towards Dar es Salaam until we got to the Morogoro roundabout and then made a right turn to enter town. Of the four of us, only one had been there in the recent past—for work—and luckily, he was the one driving. 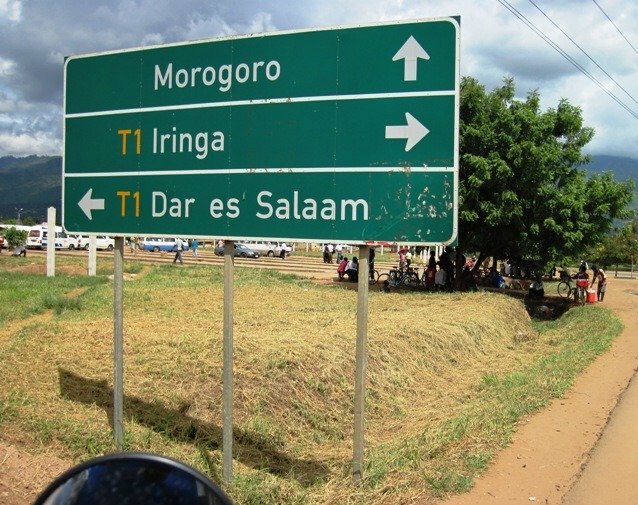 For those of you who don’t know, Morogoro (population: 315,866) is a small city (more like a town) at the base of the Uluguru Mountains, located almost halfway between Dar es Salaam, Tanzania’s commercial center and largest city, and Dodoma, Tanzania’s capital. READ ALSO: Tanga, Tanzania: 10 Pictures Taken in & Around Lushoto. My boyfriend, the person who had been there recently for work, drove us through the main streets of Morogoro pointing out what he knew of the city. Like you’d expect of any small city in Tanzania on a Saturday afternoon, Morogoro was bustling with leisurely-paced activity. How could that be?, I asked myself. My plan was to have some adventure! So I pushed him a little bit. Soon we found ourselves in the suburbs of Morogoro. The crowds thinned out and we began to see colonial buildings. At one point, as we passed an old church, the road began to ascend steeply. Things were beginning to get interesting: where would this road lead? We drove higher and higher, and I could tell that the mood in the car had changed. I think the others had finally caught up with my desire for adventure. We soon found ourselves at an intersection. Ahead, the road continued upwards steeply but there didn’t seem to be anything too interesting there. To our left was a small road with a sign that read Black & White Pizzeria. We decided to take that road. Since my friend’s husband was white and the rest of us black, we joked about it being an apt place for our group to have lunch. Shortly after we took the turn, we found ourselves in what seemed like an enchanted forest. We were on a bridge that stood above a stream that ran through huge rocks. Around us, covering us almost like a canopy, were tall trees with lots of foliage. The stream and the rocks went on for as far as we could see on either side of the bridge. The only thing separating us from the stream below was a weak chicken-wire fence. We mused: Could we get down there? Where did the stream run to? Was all this natural or man-made? We got out of the car to take pictures. Although we were curious, we knew that being too adventurous could land us into trouble. We contented ourselves with poking fun at our adventurousness and then…all of a sudden…we slowly saw someone climb out from under the bridge. A dreadlocked man casually climbed up from the rocks beneath and joined us on the bridge as though it was the most normal thing to do. We were a bit taken aback, but as is the custom in Tanzania, we courteously exchanged greetings. The man, excited to see our white friend, asked if they could take a picture together. With all of us not knowing how to handle the situation, my friend’s husband just went ahead and complied. In exchange for the favor we’d just granted the man, we took the opportunity to ask if there was an easy way for us to get down below. Cool as can be, he pointed down the road and told us that we would find the main entrance further ahead. Like he said, we only had to drive two minutes to find ourselves at an establishment called Rock Garden. Had we not seen the rocks and the stream earlier, we’d have thought that it was just an ordinary local outdoor pub. There was loud good music playing—it was a Saturday after all—and there was sweet-smelling meat on the grill. We each paid Tsh. 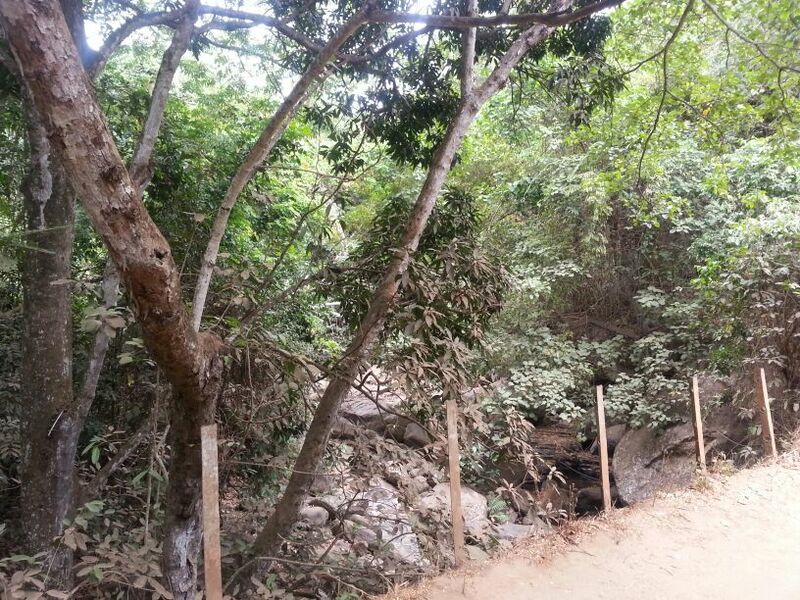 2,000 to enter Rock Garden. Though tempted by the meat on the grill, we decided to first deal with what had brought us there to begin with. We asked for directions to the stream and were pointed in the right direction. For a minute we became kids again. We rushed in the direction we were pointed and immediately began to climb rocks. We saw the stream which, in places, formed mini-ponds. In the distance, we could hear the sound of rushing water. We decided to follow the stream to its source. There were couples holding hands, enjoying nature. We saw a guy at an easel drawing away. We came to a patch of bamboo trees and like primary school children, etched our names on them. First me and my boyfriend, then me and my childhood friend, and then we went back to following the stream. We crossed it at points, leaping from rock to rock; we climbed rocks; and of course there was the occasional slip and fall. We followed the stream as far as we could, until we began to feel that maybe we had ventured too far. We could hear what sounded like a waterfall ahead but the path in front of us looked a little daunting. Wisdom got the better of us, we decided to head back. We let the sound of the music lead us, and soon we were back where we’d begun. As we left the stream, its beautiful rocks and foliage, we turned around and gave it one last wistful look. Then, we headed off to the bar. We sat on one of the decks overlooking a ravine, enjoyed a cold drink, and savored the last of our holiday. We all wished we could try some of the meat on the grill but the truth is none of us were hungry enough yet. After we had regained our breath and some energy, we got back on the road and continued to Dar es Salaam. This adventure at Rock Garden in Morogoro could quite easily have been one of the best parts of our trip to Mikumi National Park. Personally, I wished we could have just chilled and relaxed there for the rest of the day, but alas my travel companions wanted to be in Dar es Salaam before dark. (In hindsight, they were completely right: the driving on the road as we approached Dar es Salaam in the evening was CRAZY!). 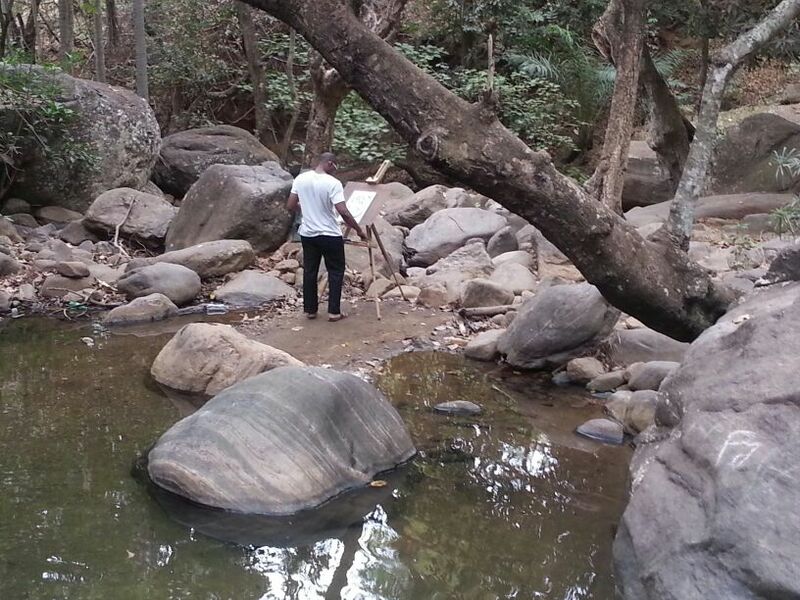 Still, when I am next in Morogoro, I will definitely schedule a whole afternoon just to while away at the Rock Garden. If you’re ever in Morogoro and looking for something fun to do, you might just want to check it out too! Its interesting to read your blog, it brought back memories as I grew up in morogoro opposite the old bus and taxi stand near the Caltex petrol station. 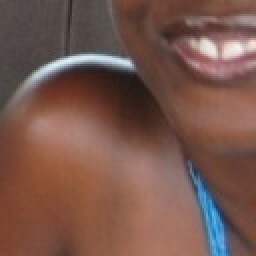 I was born in Iringa. Where you spent time with your collegues on rocks we used to picnic there every year with my parents and family. We left the town 1974 and I have not been there since. But love to see my childhood place.